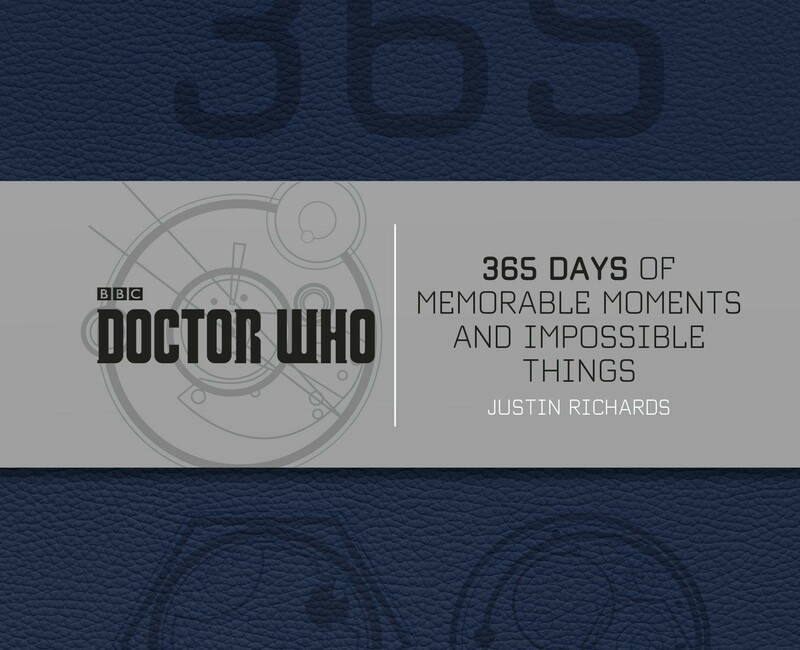 Finding pleasure in taking the long way around, Doctor Who: 365 Days of Memorable Moments and Impossible Things offers a daily dose of disparate facts linked together by date alone. It’s a strange old book – brick sized, coloured TARDIS blue with a dull, uninspiring grey band through the middle – you might wonder if some poor soul, bereft of Doctor Who for most of the year, might while away the time turning a single page of nourishing facts for each Doctor-less day. The format though is relatively simple, the book chronicles an entire year (despite the title, it also includes the 29th February where, fact fans, the Doctor is forced to give the TARDIS key to Marco Polo) where the casual reader is actively encouraged to flick through to significant dates in the shows history and, indeed, the readers own timeline (June 4th, A Good Man Goes to War airs) rather than devouring it, cover to cover. Speaking of A Good Man Goes to War, many of the allocated facts are simply transmission dates of particular episodes; some cover the first appearance of significant characters while others focus on acclaimed stories or, as the case is for January 3rd all three, being as it is the transmission date for Spearhead from Space. As well as covering a significant event from Doctor Who’s history, the book also has a helpful sidebar panel which provides the occasional piece of real-world history which adds slight context to the episode or cross-references to other facts which occurred on the same day across the shows history. Take January 3rd, not only do we get the Auton’s invasion; there’s also the first episode of The Brain of Morbius in 1976, the first episode of Warrior’s Gate in 1980 and the first episode of Arc of Infinity – complete with a brief mention of the return of Omega. There are, of course, dates that are significant to all Doctor Who fans such as 23rd November, the 26th March or even the dreaded 6th December – all are impeccably researched with an engaged, informative – if slightly dry – tone from author and editor of the BBC Doctor Who Book range, Justin Richards. Although you can often feel the text straining against the brief of sticking purely to the date (it’s worth mentioning that even if you wanted to plot a time line for, say the Dalek’s, across a year, you can’t as there is no index for you to do so – you are bound by its devotion to its randomness). There are also some fabulous illustrations by Freakhouse Graphics which have a passing resemblance to the Robert Walker Wade images found in Michael Holt’s The Doctor Who Puzzle Book from 1985 – if it is intentional, then it’s inspired. However, if all the date enforced connections seem tenuous, then, sadly, it’s because the book has its own built in obsolescence – its important and fascinating right up until the point that it isn’t and you never pick it up again. You’re often left wondering who the book is aimed at; long-term fans may find some solace in repartition of those significant dates – although those same fans might balk at entries such as 4th October Courtney Wood Goes to the Moon (Why not the day the earth – well half of it – decided?) – but other, newer fans might find the book a tad intimidating. It’s a shame that, with the show off the air and indeed, the fine history of world-building that took place in the last great barren period, that we aren’t getting something different or groundbreaking – it’s very much playing to the strengths of the range, although, despite some nifty illustrations, it isn’t as eye-catching as other recent compendiums like Doctor Who: A History of the Universe in 100 Objects or even Who-ology. Instead, it sits rather awkwardly between offering a briefly novel way of cataloguing the history of the show and not offering any real valid reason why it should be catalogued by date alone once that novelty has worn off. 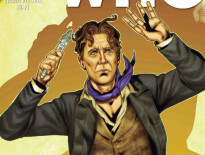 Reviews	Reviewed: The Eighth Doctor #2! 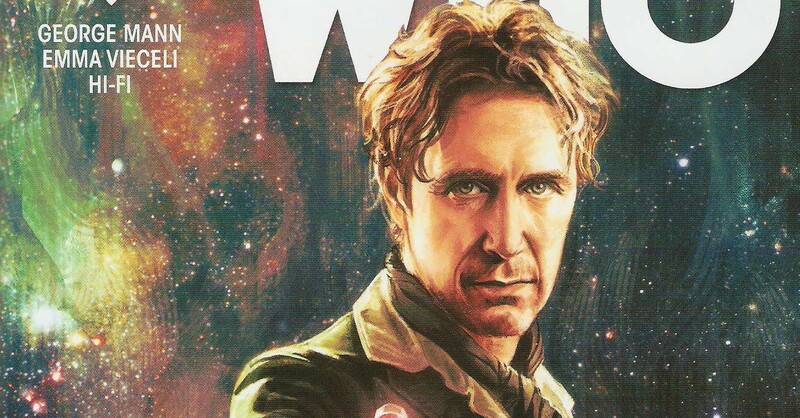 Reviews	Reviewed: The Eighth Doctor #1!